You have probably heard it said before, “Leaders are readers.” This catchy leadership principle comes from Harry Truman who said, “Not all readers are leaders, but all leaders are readers.” If you want to be a good leader, than you better start learning how to be a good reader. Reading is essential to effective leadership. I believe everyone who finds themselves in a leadership position knows that, but the question many of us ask is what does it look like to be a good reader? How does a leader become a good reader? What kind of books should I read? How often should I read? These are all great questions and worthy of discussion, but I want to offer up a few thoughts on how leaders can become good readers. These thoughts will be directed towards those in leadership within local church ministry, but are applicable to anyone in a leadership position outside the local church as well. Read broad. If your going to be a leader who is a good reader than you must learn to read broad. What I mean by this is don’t get into the rut of reading one type of book or books on one subject. For example, I am a student pastor. It’s easy for me to only read books about student ministry. This isn’t necessarily a bad thing. To be an effective student pastor I need to read good student ministry books, but that’s should not be the only thing I read. I need to read books on theology, leadership, church ministry, and books that are not even Christian or church related at all! Whatever leadership position you find yourself in, read beyond that specialization. You want to be a well-rounded leader, and to do that you need to be a well-rounded reader. A particular note to others in Christian leadership is needed here. As Christian leader’s, we often only read “Christian books.” But this isn’t always a good thing. Some of the best leadership books, and books in general, are not “Christian.” Read them, but filter what you read through God’s revealed Word. At the end of the day, Scripture is the best leadership manual, so filter what you read through it. Have a plan. Reading takes time and if you don’t intentionally plan to read you probably won’t. If your going to be a leader who is a good reader than you need to have a plan. If there was a perfect reading plan out there I’d share it with you, but there isn’t. Everyone’s plan will look different and will be based on personal interest and fields of leadership. However, Mike Calhoun shares some of the best information I have ever read on creating a personal reading plan in this blog. In that blog, Mike talks about creating a reading plan that is based on your interest and desired field of learning. I am in the middle of creating my own personal reading plan and would encourage you to do the same. Also, just having a list of books to read over a set time, such as a year or six months, is a good place to start. 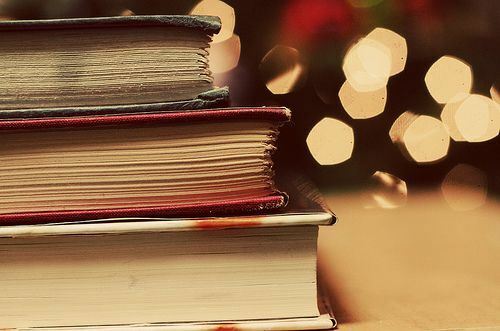 As an example, check out my friend Josh Evan’s book list for what he is planning on reading this year in this recent blog post. Read consistently. After you have a personal reading plan, commit to reading consistently. To be a leader who is a good reader it’s not enough to read broad and have a plan, you must commit to reading consistently. I’d suggest reading daily. Have a certain amount of time each day that you set aside to read. It doesn’t have to be a long time, but enough time to read a few pages. If you only read a few pages a day, everyday, you will be surprised at how many books you will make it through. I had a friend in college who read everyday for thirty minutes. It was incredible how many books he would get through by just reading thirty minutes everyday. Engage with others about what your reading. As a leader, don’t keep what you read to yourself. Engage with other leaders about what you are learning through in your own reading. One of the ways I do this is through my blog. I regularly post book reviews of the books I read. However you do it, make sure to engage with others about what your reading. This will help you think through and digest what you are reading. A good idea might be to read a book along with another leader so you can discuss it as you read it. These are just some thoughts about how to be a leader who is a good reader. I want to continue to become a better leader through the discipline of good reading. What are some thoughts you would share with other leaders about how to be a good reader? Next Post Guest Post: If You Want to Be a Youth Pastor, Why Bother with Seminary? Good post. If you haven’t already, I recommend reading Tony Reinke’s book “Lit” on the subject of reading. It is very practical, and really revolutionized a lot of my thinking on reading (especially when it comes to fiction). I have seen that book before and was interested in checking it out. May read it in the future since you recommend it. Hope your doing well man. Thanks for stopping by the blog! Thanks for stopping by the blog and leaving some thoughts. It’s insane how much you can read in a year if you commit yourself to it. Reading is so important for church leaders. Let me know what good books you read this year!